Hi… Hi there… Hey… Hello… HELLO! Yes you. The one welded to your phone. How about a digital detox? What birds can you hear in the trees outside? Did you spot that fox dashing across the lane? What colour hat is the girl wearing sat next to you? By the way, you missed one hell of a hot guy getting on at the last stop. If you’re a slave to your device, we’ve got a handful of signal-free, digital detox holidays you’ll want to avoid like the plague. If you dread stepping off grid, look away now. 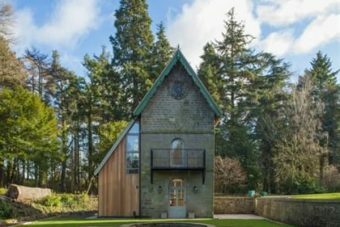 Set in 30 acres of private woodland, The Folly in Belford should restore your faith in human contact and the natural world. A cute bolthole for two, the closest you’ll come to technology is while pondering the inner workings of the building’s original clock that present themselves in what is now the bathroom. 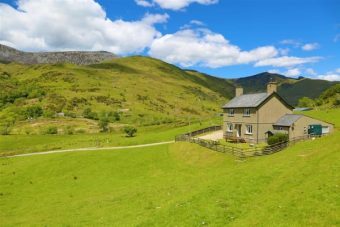 If you thought finding 3G in among all that acreage was too much like Challenge Anneka, then we’re not sure the extremities of north-east England will offer much of a calling for you at all. Bamburgh beach is awash with activity options making the most of blustery days. Whether it’s kitesurfing or coasteering, hopping from one to another of 10 castles, or soaking up the foodie scene, you’ll be so busy you might even forget you’re on a digital detox holiday. 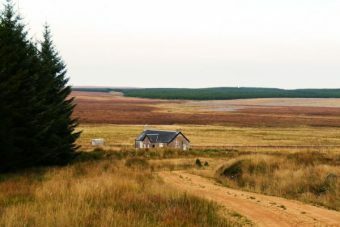 If you miss the train to Altnabreach Station, it’s a 15 mile walk to Badnaheen, a former shepherd’s lodgings near Loch Dhu. Does it get much more off grid than this? With your hiking boots laced, head to the loch shore for artistic inspiration or snap the scenery with a real camera. Nothing but deer and ruined longhouse communities for miles. If you make it to the northernmost shores of the British Isles, you’ll wonder where next. Tiny highland communities, rolling glens, game sports and peaceful lochs make for a fascinating break in the Highlands. This is the land of the digital detox, where data dares not tread! 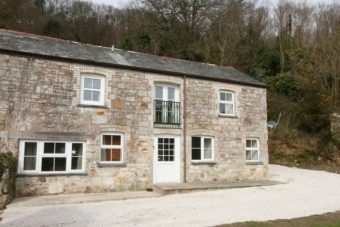 With views down dale, exposed stone walls, a roaring log fire and good book, not forgetting the welcoming village pub, you’ll wonder what 21st century life will be like. 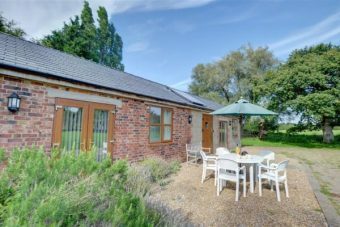 From your temporary home of Roaches Cottage on the edge of the Peak District, you’ll be spoilt not by an unfathomable choice of apps but by choice of footpaths to walk and potteries to visit. Ok, so it might be what school trip nightmares are made of, but hiking hills as a grown up is all about being prepared. You might be reliant on Ordanance Survey rather than Google maps, but we bet you’ve got all the gear (and not a cagoule in sight!). 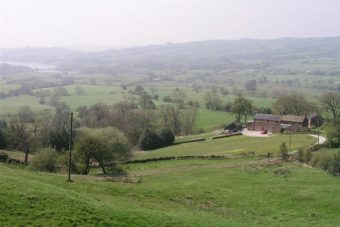 From Bakewell to Buxton, Wedgewood to Spode, this is the glorious English countryside between the industrial wedges of Sheffield, Birmingham and Leicester. Yes, you have to see it to believe it. 20 minutes from Ashford International is Kent’s digital detox offering, but you’d better not be allergic to dairy. Hornbrook Dairy in Woodchurch earns extra brownie points for being uber eco-friendly too. Even if you did bring your phone, we can’t guarantee there’d be anywhere to plug in your charger, at least not without the lights going out! 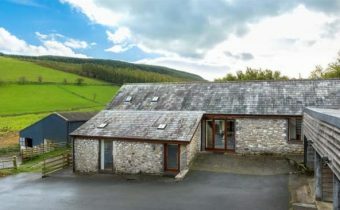 This cute barn conversion is almost entirely solar powered. England’s country garden in full bloom is a swathe of historic battlegrounds, fortified cathedrals and castles named after northern cities – without access to Google how would you know any different… Enough teasing. With a castle (named after its founder) in situ since 1119 you won’t be short of history pre the invention of the smartphone. Besides that, Chislehurst Caves and Spa Valley Railway should dampen signal and prove that WiFi aboard trains has always been rubbish. Named after its horsey history, Giddy Up near St Austell certainly won’t be winning any digital awards other than of the detox variety. This pretty, off-grid spot rewards those ditching their devices with stunning snapshots of Mevagissey Bay and a fascinating history of its working horses that once drew cargo from the port to the station. Besides the odd gem of signal-free zone in the most rural reaches of the shire, Cornwall is so popular there’s just too much risk of being caught in someone else’s selfie. The most popular holiday destination with Britons is also awash with foodies and that means Instagram overload. Don’t say we didn’t warn you. Bring your bikes to Bach Cottage in Builth Wells, Powys. 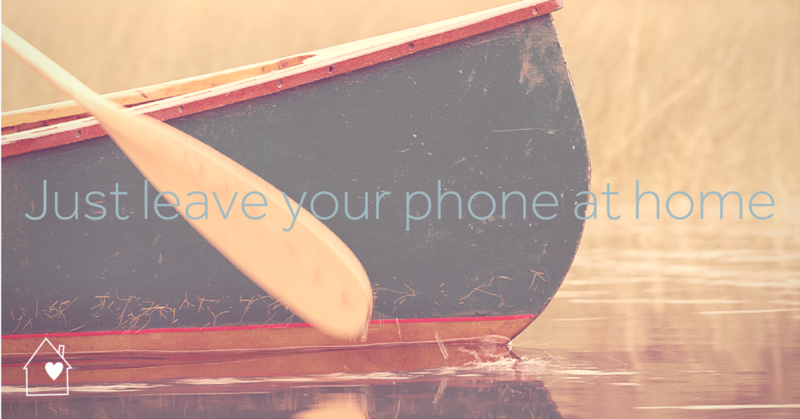 And you might as well turn your phones off – there’s no mobile reception here. Uncertain about movement on two wheels, opt for four legs. After all, pony trekking and the Welsh mountains go hand in hand. Need to call home to check on your Insta notifications? There’s a landline in the farmhouse for emergencies. It’s all sheep and cows, rolling lush countryside and more than your fair share of farm machinery. Powys is also the final resting place of Wales’ last independent Prince of Wales and home to Europe’s largest farming show – the Royal Welsh Show. So claims to fame aren’t scant around here. If you need to feel at one with nature, the red kite feeding centre should save you the hassle of going on a bug hunt or creating a woodland mud kitchen for the kids. Assuming you’re still with us… will you dare to go gadget-free?